When people ask me where I am from and I say “New Zealand”, a look of awe comes across their face. I am proud to promote my country and everything that comes from there and I am not alone. In a recent survey of over 12,000 expats (by Kea and Colmar Brunton), 98% actively promote New Zealand (NZ) and recommend it as a destination to their overseas networks. The story of the New Zealand brand and their advocates holds lessons for other countries and companies. The tourism New Zealand campaign of 100% pure has done a lot for the image of New Zealand as a clean, green and adventure filled country. The Lord of Rings trilogy and the adventure tourism promotions add to this. What may have seemed like a difficult market, being as far away as possible from anywhere, many New Zealand companies are taking this image to their advantage as they launch themselves in international markets. One company that pioneered a number of marketing initiatives (many controversial), was 42Below. 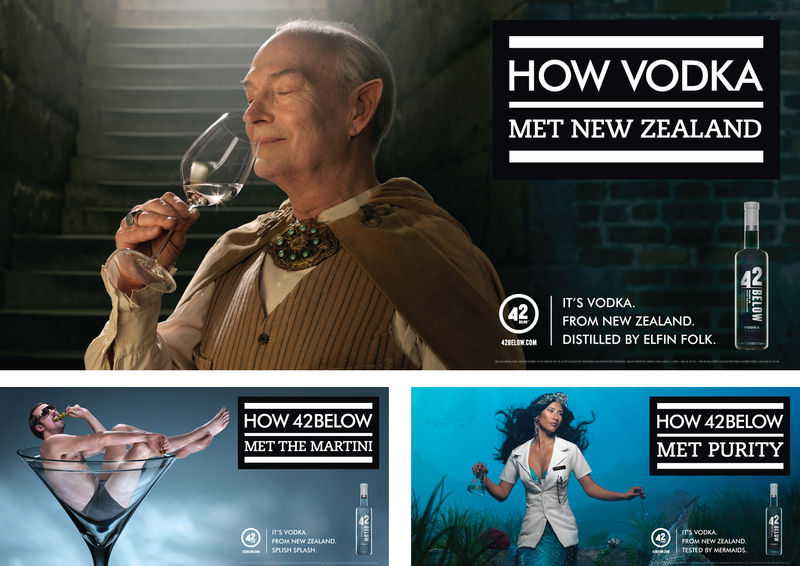 Their quirky use of the New Zealand brand helped take their vodka global. At a time when New Zealand wine, fashion and movies were succeeding globally – vodka was not a product that came to mind when people thought of NZ. But Geoff Ross did not let that stop him, as he set out to create the purest vodka in the world – from the purest country in the world. He understood that branding was what would differentiate his product from the established vodka brands and that the New Zealand brand would help him do that. 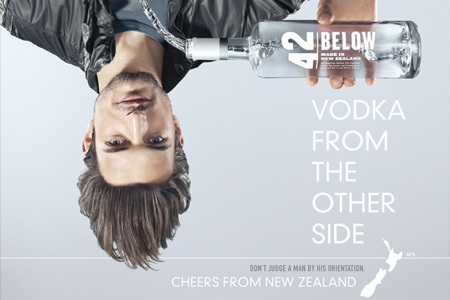 Often described as “New Zealand in a bottle”, 42Below pitched itself as The premium vodka to the elite cocktail set. And it worked. 42Below became so popular that in 2006 it attracted an $138 million buyout from Bacardi. 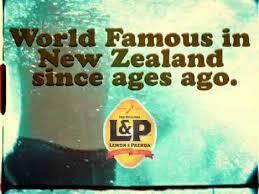 Kiwis have a saying – “World famous in New Zealand“. Now associated with the L&P advertising campaign (a drink only well known within NZ), the phrase is used to describe individual products and ideas that could be famous, but have only managed to make it big in NZ. A disadvantage of size and distance for NZ has meant that historically this was a common occurrence, but in the connected and networked world of today it no longer has to be that way. Now, you can be world famous outside New Zealand. In 2012 the New Zealand government commissioned three government agencies to develop “The New Zealand Story“. This initiative was put together to help local companies compete in the global marketplace by providing a consistent New Zealand narrative, a narrative not exclusively tied to a tourism campaign. Presented in three chapters – open spaces, open hearts and open minds, The New Zealand Story provides assets and story kits to help New Zealanders talk about our unique attributes in a consistent and meaningful way. We could stop at helping create a consistent brand for New Zealand to take our products globally – but we could also be braver and go further. Recently I discovered a presentation by Derek Handley’s from 2011. Listening to his Big Idea for how we could come together as a nation and do something that would benefit both New Zealand and the world. How we could be brave and take a leap as a collective to change our world and at the same time provide a platform for talented kiwis to bring their talents back home. This coming together to contribute to a collective action, whether that be to free us of a dependance on oil or something else entirely, is something I know many New Zealanders across the world crave. This talented pool of individuals with a connection to home, want to contribute and want to be a part of this New Zealand Story. 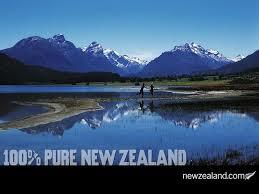 We all know that it is not just visuals and values that make up brand New Zealand. It is the pull that comes from being from a place you are proud of. For 42Below, it was the expats who proudly bought out a bottle of vodka at a dinner party, for Derek’s idea it is bringing together the people who could make a difference towards a common goal. By bringing together this network of connected individuals to share a New Zealand story and spirit, we can impact a change that goes beyond the Pacific and throughout the world. The easier it is for New Zealanders everywhere to connect with New Zealand and with each other, the more they can act in a purposeful way towards a common goal. You then make it possible to develop more stories like 42 below, or Big Ideas like Derek’s. You make it possible to become world famous outside New Zealand from within New Zealand. What would your company be like if the customer community was at the heart of your business? Instead of community management being an extra thing that you do, what if the company empowered the community and was core to everything you did? A small company from San Francisco does exactly that and their example holds lessons for companies of all sizes. Building community is what drives me and makes me so happy to work on this… We’ve really invested in this sense of community. It is this community focus and the distinct characteristics within the community that is setting this company apart from its competitors. As Director of Community Engagement, Emily Castor acts as the linchpin in the Lyft community. Reading through Lyft’s blog and social media channels, you’ll find the usual content: customer feedback, press articles, safety information. Mixed in though, are photos of people, fun games, and lots of visual links (pink is big and there are moustaches everywhere). These visual identifiers and overall sense of fun connect the community and create an identity that people want to be part of. And their customers see it too as evidenced in this quote from Nithya Anantharaman. I have both Lyft and Uberx installed on my phone but I think of Lyft first when I need a ride. Lyft’s passionate and loyal customer base is also starting to be very handy. With a current valuation of more than three times that of Lyft and backers such as Google Ventures and Jeff Bezos, Uber has the funds to take on Lyft and engage in competitive tactics. Tactics such as anti-fistbump Facebook campaigns, poaching of drivers via mobile billboard ads and offering customers free rides. Competition is fun…You have to be a fighter, you have to be a warrior, and if not, you should go do something that is a little less disruptive. I’m bringing it, I’m not sleeping. By focusing on community, we’re able to attract the highest quality drivers. It makes sense that our competitors would try to recruit them as they try to catch up in peer-to-peer…What we are doing with community, the peer-to-peer model, and sitting up front is resonating. To compete against companies that have more resources or more market share, you may need to do things a little differently. For Lyft that means promoting their secret weapon, their community. Lyft has recently launched the “Lyft Creatives” initiative that highlights the individuality of the Lyft drivers themselves. Meet some of the drivers in the video below to see the passion. It is not just other ride-sharing competitors that are threatening Lyft’s livelihood, regulations and the risk of being outlawed are serious concerns too. In August 2012, the CPUC (California Public Utilities Commission) sent Lyft and other ride-sharing companies cease and desist letters. Emily Castor wrote to her community and asked for help and the community responded with community stories, campaigns and pep rallies. When things got really competitive, it was the community that fought back. As the battle with city officials continues for both Lyft and Uber, these loyal evangelists just get stronger. Aside from the competition and the threats, the community also helps with something more fundamental – promoting an element of trust and safety. At the core of the Lyft platform is a two-way review system which allows customers to choose the driver they want and drivers to choose their customers. Thanks to our two-way rating system, our community stays safe and positive for everyone. Just as passengers are able to rate drivers, drivers are able to rate passengers at the end of every ride. You can give a five star rating to great passengers, and reserve the lower star ratings for passengers you want to flag in the system. If you rate someone three stars or lower, you’ll never be matched with them again. With everyone accessing the service through their Facebook accounts and the transparency of the review system, people are able to decide for themselves how “safe” someone is. Add that to the very visible pink moustache on the front of the car and the breaking of the ice with a fistbump when entering the car, each of these elements and rituals add to a feeling of safety and one of belonging to the larger community. For a ridesharing company designed to connect strangers, this community vibe becomes vital to their survival. These are just a few examples of how Lyft has embraced their community as the core of their company. While some companies view their customer community efforts as just another support channel, Lyft shows how a broader view of community is good for customers, good for employees, and good for business. In my previous blogpost, I wrote about KEA (the Kiwi Expat Assoc) and their mission to turn brain drain into “brain circulation”. It’s a group of 200,000 expatriates from New Zealand and I’m proud to be among them. But while I like the success stories and the sense of connections to home, I always thought such a group could do even more. Here are some examples. The book “Influencer” by Kerry Patterson, et al. explains how, by focusing on 6 sources of influence it is possible to change specific vital behaviours in a way that scales. This approach has been used in a number of very different applications, from eradicating Guinea worm to changing behaviour in prisons. And in the case of KEA, I believe it can be used to transform 200,000 expats into a powerful network of ambassadors that can help each other and the country as a whole. Each one of KEA’s members has the ability to “bring work home”, connecting their personal networks and skills to people and organisations in New Zealand. Whether that is promoting NZ people and products, assisting with the growth of NZ start-ups or partnering with NZ firms. We want every member to connect their networks and skills to ties back in New Zealand. By looking at these 6 sources of influence, we can start to create a strategy for linking members to contributions and increasing the brain circulation of New Zealand. Ask: Do I want to? This is where we look at someone’s personal motivation for contributing. Why would somebody want to connect their networks or skills back to New Zealand? What intrinsic motivators can be called upon to motivate people to do this? The obvious motivation in this example, would be to tap into each members want to keeping their connection with New Zealand strong. Linking this action with a person’s sense of self – of who they are and who they want to be. A kiwi, a New Zealander. Are Kiwi Expats able to link their networks and skills back to New Zealand? Have we made it easy in this network to connect these dots? Often we assume that we just need to motivate members to connect, however we also need to ensure that members know how. This involves breaking the behaviour down into smaller chunks and ensuring every member has the ability to contribute. With an organisation like KEA this could mean breaking down the businesses/people to promote in easy to target chunks. e.g. KEA could provide targets by industry. Do you know people in small businesses? Here are the top ten New Zealand products for small businesses. Then make it easy to share this knowledge within my network. By providing members with a simple structured way to connect their network or expertise, you enable every member to contribute. Are other members just like me doing this? Who are those in my network that would encourage me to participate? Highlight these people and recognise them. Sharing stories of successful New Zealanders giving back to the network is a great start to modelling this behaviour, but we also want to show that every member has something to give back. Share stories of a range of expats and use peer comparisons. e.g 3 out of 10 expats like you do X. People are more likely to change their behaviours if people in their peer group are doing the same, not necessarily their leaders and if people feel praised and encouraged by those around them they are more likely to contribute. Where can members go to get support from their peers to contribute? We know that peer groups can help reinforce and guide people. e.g. Lean-In circles or weight loss groups. With KEA there are already networking events in each country, and these could be altered to more purposeful and focused on support for contribution. These gatherings can be a place where members are able to help each other and vital provide support mechanisms. Ask: Does the environment/Do “things” motivate? Action: Design Rewards and Demand Accountability. How: Link rewards third and in moderation. Link rewards to vital behaviours. Use rewards that reward. Using rewards is something that should be done in moderation. 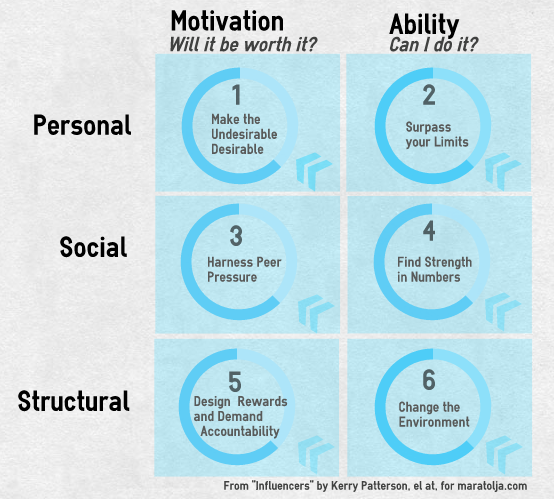 The focus instead should be on the intrinsic motivations. If rewards are to be used, it is important that they are linked to the behaviours rather than the results. This may seem strange, but the results will take care of themselves. A shout-out from an influential New Zealander for a number of contributions from a member, or a free flight home for someone wanting to start a business or creating a successful connection are some example of rewards that could be used for KEA. Ask: Does the environment/”things” enable? Action: Change the environment. How: Use the power of space. Use the power of data and cues. Use the power of tools. Finally, does the environment help or hinder members? What is the physical environment like? What reminders or visual cues are there? Changes to the environment could be physical changes, online changes, policy or structural changes. With KEA, this could involve changes to the online presence or community spaces, or changes to the structure of the organisation, or the networking events. Look at the biggest barriers to expat contributions or to brain circulation and start from there. Taking a successful organisation like KEA, that already has 200,000 members wanting to be a part of “home” and giving them purposeful things to do as a part of that community, creates a very powerful network of relationships and ambassadors. But what applies to KEA applies to other communities too. Whether that be your own community, organisation or alumni. Connecting your members together is a good first step, now what? To read more about the Influencer model the following two blogs provide more indepth information. I’ve been looking at growing New Zealand companies recently – companies like Xero and Trademe, and they still show the positive signs of the best start-ups. They seem to have a purpose that unifies the people there and creates a positive culture and it resonates in their brand. They have a personality. Or, said another way, it feels like they’re a company made up of real human beings who treat their customers as real human beings. As companies grow though, those traits can sometimes fade. Big companies can feel like corporate machines. A place where competition beats collaboration and where personal agendas override a shared purpose. By growing bigger, these companies risk losing the things that made them special in the first place. But a few manage to avoid the traps of bigness. And, In implementing an enterprise social strategy, I’ve seen 5 ways you can grow big and still feel small. These are seen in the power of CLICK. A sense of connectedness comes from an understanding of how your employees and your customers fit into your company. As you grow – you want every employee to understand how their role is connected to the customer experience and to your products. At Zappo’s (an online shoe company in America), every employee knows that their primary job is to keep their customer happy, and they are empowered to make this happen. They don’t need permission. Your employees should know what your company stands for – and should feel empowered to make this happen. When you are a small company, you are continuously learning. Asking questions and gaining skills. As you grow, you want to maintain this culture of learning. Companies such as Google are well known for allowing employees time to develop ideas and innovations. Everybody should always be asking questions. As new people keep joining, you need to cater to onboarding them and providing a way for them to quickly understand who does what. Your enterprise social network should be connecting these people to each other. It is the source for questions and answers and curated product information. But don’t think it is just for new people. People who have worked with you for some time, will be upskilling and adapting, as will you. Empower the entire company to learn and grow together. Every entrepreneur has a personality that they bring to their company. This personality is easy to convey when they are a small team. But as the company grows, you want this personality to scale. Think of your Enterprise Social Network, as a virtual open door to your office. If you want everyone to share and be a part of the company’s collective strategy, then you need to take everyone on the journey with you. Share what you are doing and why. Your employees should know your company success stories and be able to own these too. By being open and allowing people to have a voice, you have the opportunity to open up real conversations. By listening and interacting – you can respond, grow and adapt. When a company grows beyond four walls – it is crucial to know what is happening. With multiple teams, goals and agendas – working collaboratively can help connect the dots within the company. By embedding a culture of content creation – where knowledge sharing is rewarded and encouraged – you can help people work out loud – and stop the silo mentality that begins to creep in. It really is that simple. A company is all about people. Recognise those that are living the values – and sharing the personality that you want to maintain. This way you can be sure to have the greatest people, and the greatest company. As a kiwi living in London I naturally would like to move back there one day. So I do what many of us do, follow everything that is happening back home. This includes regular doses of nzherald.co.nz and stuff.co.nz, but also keeping up-to-date with a number of New Zealand influencers on social networks. For a small country, there are a number of influencers and they have a wide reach. I really enjoy reading these as they come through my stream. The “No 8 wire” attitude comes through, as does the candid, friendliness I am used to from back home. When the rest of my stream goes to sleep, this part of my Twitterverse starts to wake up and come alive. So where do you find these NZ Influencers? You could start by looking at The NZ Herald Twitter Top 50, or searching through the top 100 followers in New Zealand. If you do this, you will notice a lot of sports stars, media personalities and politicians. It’s less about the number of followers they have – more about having an “active following”. Real conversations – where they speak and people speak back. These are people who create content – not just pass it on. 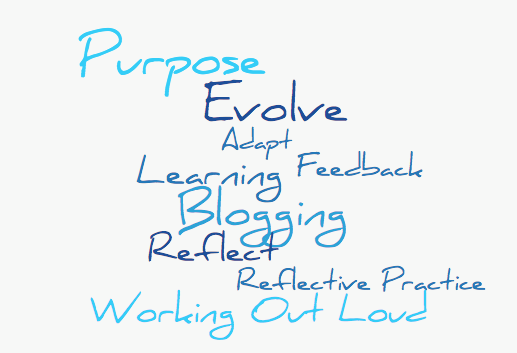 I was mainly focused on Twitter and Blogs – things that were easily accessible to me. Always on Twitter. Regularly answers queries. Lighthearted. And he blogs too. Dan I follow on Twitter and Facebook. His updates are a great way to keep up with what the @allblacks are doing. He is lighthearted, gives things away, shares lots of images – and genuinely seems like a nice guy. Amusing. Posts regularly. Blogs here. Tweets regularly. Makes me laugh. Writes things at http://cateowen.co.nz/. Sideswipe is so funny. The one thing you must read when you go and read the paper. That she manages to pull this together every day is great. “Followed” Marcus before Twitter. Posts Regularly. Often makes me LOL. As NZ’s first woman Prime Minister and current Administrator for the UNDP – I have to follow Helen. And it is a treat. She recognises people when they do good work and talks about things she is passionate about. Newly added to my list. Looking for the lowdown on current events in New Zealand. Will keep you updated. Not really much to say – a part of NZ culture. The All Blacks are very active on social media. And even if just for bragging rights – it is important to be up-to-date with what is happening. I love that although this is all about rugby, you see the All Blacks supporting other kiwis in other codes. With a real “start-up” feel, Xero is one NZ’s success stories. Great to follow and feel like you are part of the journey. As far as social media goes, ASB knows what they are doing. Innovative and human. Love to see what they do next. Good selection of tweets. Feels like real humans tweeting. I like reading about people on their way home and celebrating all things NZ. For keeping up with news in New Zealand, I read the nzherald using their app and stuff online – but I like to follow @NZStuffEditors for a selection of news to read. The mix of news feels handpicked and relevant. I follow Kea on both Twitter and Facebook. They do a great job of celebrating great New Zealanders and helping us expats network. Tweets every now and then. I follow The Icehouse for information on what is happening in the start-up scene. A number of people I admire are a part of this org, so it’s worth supporting. Just discovered this as they were posting lovely pictures of a New Zealand summer. Enjoying following so far. Will keep you updated. It has taken a number of months to find these influencers, but the discovery has been fun. In the process, I even managed to get a favourite from Helen Clark! I know there are more that I haven’t even come across yet. 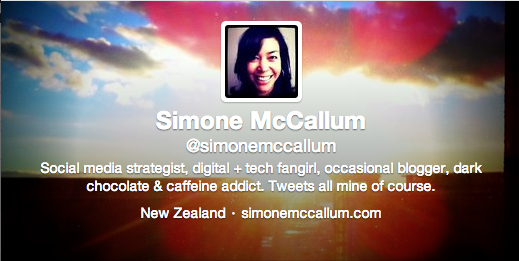 Given the diverseness of New Zealand, I feel I am missing influencers in Food, Wine, Music, Comedy and more. So with a list of only 18 so far – I would like my next list to be at least 20. What do you think of the list so far? Who am I missing?